KEEPING THE PEOPLE’S CONFIDENCE : HOW WILL CHARLIE BAKER ADDRESS THE $ 765 MILLION DEFICIT ? 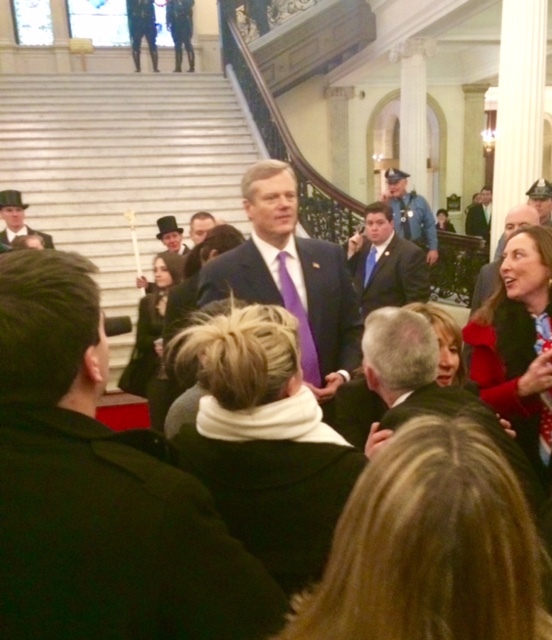 Charlie Baker has won the people’s trust and admiration. How will he keep it, now that state budgets must be cut by $ 765 million ? So now we know the actual number : our state budget owes $ 765,000,000 that it doesn’t have. Governor Baker has completed the numbers review that he ordered eveery state agency to do, and it’s not good news. Granted that $ 765 million is six percent less than the 4 813 million giuess-timated recently by the Massachusetts Taxpayers’ Foundation; I suppose we should be grateful ? Governor Baker says that the main culprit is costs associated with the state’s Health connector. Why these costs were not anticipated by the prior Governor, who can say. Why the $ 200-plus million of cost overruns wasn’t capped much earlier, it’s also hard to answer. Governor Patrick knew very well, and several years ago, that the Health connector needed to be established. Assessing its costs and monitoring the website’s launch woiuld seem to have been a priority of his administration. It was bungled. Governor Patrick could have requested that the Federal government grant Massachusetts a waiver from the ACA (Affordable care Act). fter all, our state already had universal helath care. But Patrick didn’t ask,and so here we are. How is Governor Baker going to make good the $ 765 million abyss ? This is crunch time. Governor Baker has raised enormously high epectations with his idealism, his obvious competence — mastery — of state administration, his outreach to the voters who need effective state services most of all. how will the people whose expectations baker has stoked react to seeing the already underfunded state budget cut by such a large number ? Baker needs to change his tone — right now. He needs to say that the $ 765 million deficit humbles him; challlenges even his superb capabilities. He needs to acknowledge that people will be disappointed — frustrated — disillusioned to see big cuts to agencies that clamor for increase : transportation, aid to schools, affpordable housing aid, business development, pay increases for lawyers in the justice system (this last, a matter that today’s Boston Globe editorialized about). Baker has sworn not to cut the local aid fund. That’s a bottom line worth protectying. The last thing he needs to do is anger those who govern the 351 cities and towns into which Massachusetts is segmented. But if not there, what accounts will Baker cut ? He can probably glean funds by implementing management eficiencies; but a detailed look at the state’s disparate agency budgets doesn’t find allocations looking suspiciously generous : just the opposite. In particular, the DCF budget looks threadbare. So do the court system accounts. The Health connector can certainly be reconfigured. Why should it cost any more at all than the already established MassHealth system ? Still, the Connector won’t likely yield $ 765 million saved. Baker does not want to order user fee increases, but I would be very surprised not to see increases at various state services which already use fees : registries of deeds, the Registry of Motor vehicles (and Motor Baots), state park fees, fish and game licenses, turnpike tolls. The legislature is also likely to pursue a usage fee for state highways, to replace the revenue lost when the voters nixed the gas tax’s cost-of-living indexing feature. Let’s be honest : it will not be enough to close the budget deficit. Massachusetts people expect better schooling and expanded pre-kindergarten schooling. They expect impriovements in public transprtation. They want a working DCF. The state’s opiate addiction epidemic requires much intervention, all of it costing taxpayer money. All of these, the voters of Massachusetts now look to Charlie Baker to accomplish. He has invited them to look to him fior it. Invited, encouraged, assured them of it. That was the easy part. now comes the much harder part : realness. I ope that Baker is ready to change the disciussion in that direction without losing the confidence taht almost everyone in Massachustts now has in him.